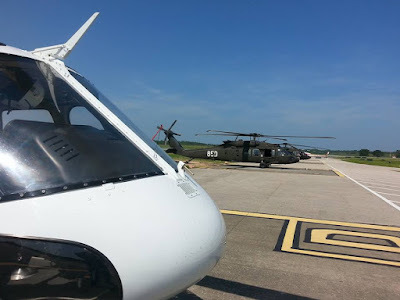 One of the biggest changes I experienced upon retiring from the military was the shift in attitudes about taking time to plan and execute flights. My unit had checklists for almost every activity, to avoid missing a detail or making a mistake. So I stepped out of a Chinook and into a B-model 206 and went from 45 minutes to get the aircraft running and rolling to completing entire flights in that amount of time. In the civil world, time is money, time flies and so must we. I was introduced to "Do -Verify" at Air Logistics. Or more honestly I was introduced to the concept of "the flow" or "the cockpit wipe-out" which means that pilots start the aircraft and perform systems checks from memory, then (supposedly) pick up the printed checklist and quickly scan it from top to bottom to ensure no items have been missed. 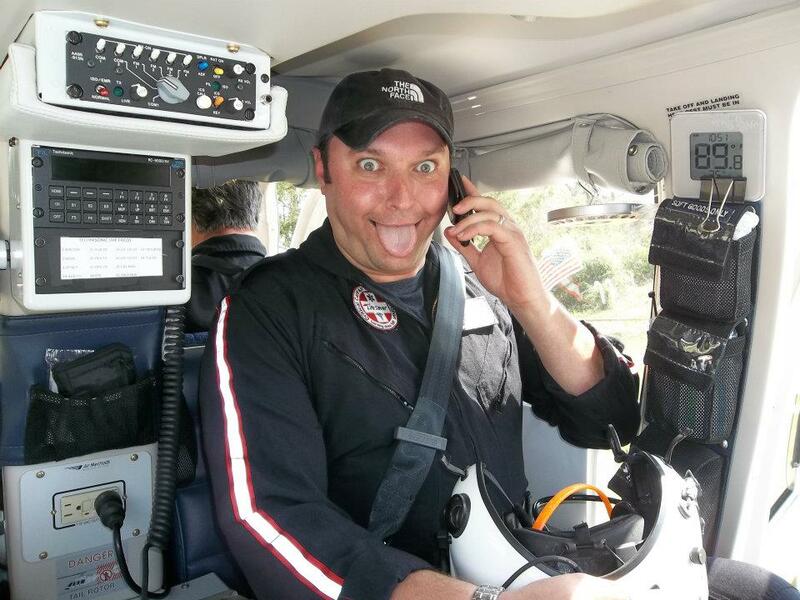 In practice most single-pilots (especially those flying HEMS) dispense with the part about picking up the checklist and simply call off a few "confirmation-checks." The FAA forced these small checklists to be printed and affixed to the panel in my company's fleet - to make sure we don't do something dumb like launching with an engine at idle or fuel transfer pump switches off. 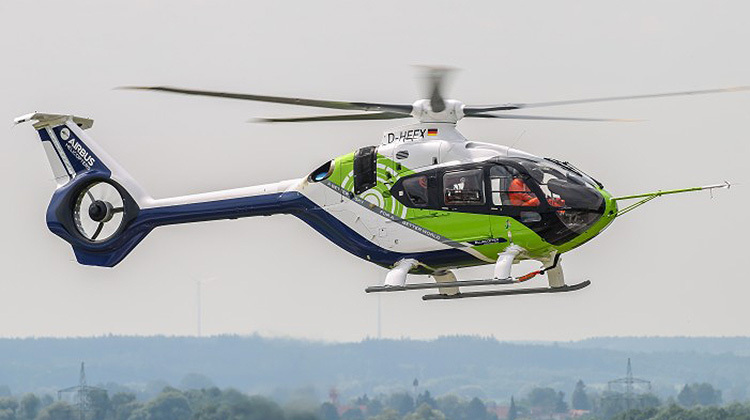 We single-pilots flying HEMS are squeezed between slowing down and speeding up. If we take too much time to launch we have to answer questions. 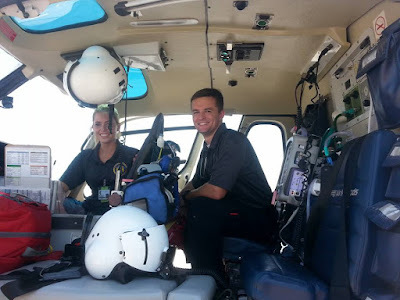 So uncommon is it for a HEMS pilot to refer to a checklist while running up an aircraft that some medical personnel who see this attribute the practice to a lack of experience. 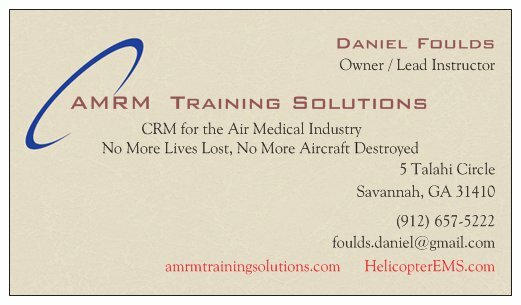 In 2000 I volunteered to fill in at a base in Charleston SC for a sick pilot. I drove up from Savannah and found out that things there were different. One of their practices was to have the nurse or medic call off a before-takeoff checklist - with both critical aviation (fuel transfer pumps on?) and medical (do we have the drugs?) items included. I would start the BK and check the systems from memory, but before pulling up on the collective I would say, "before takeoff checklist please." This system worked well, and prevented failures and disappointment. I took this practice back to Savannah, and my base manager agreed that we could and should do it there. The Savannah team went one step further and had the crew call off a before-landing checklist, which serves to let everyone know that landing is imminent and sterile cockpit is in effect. 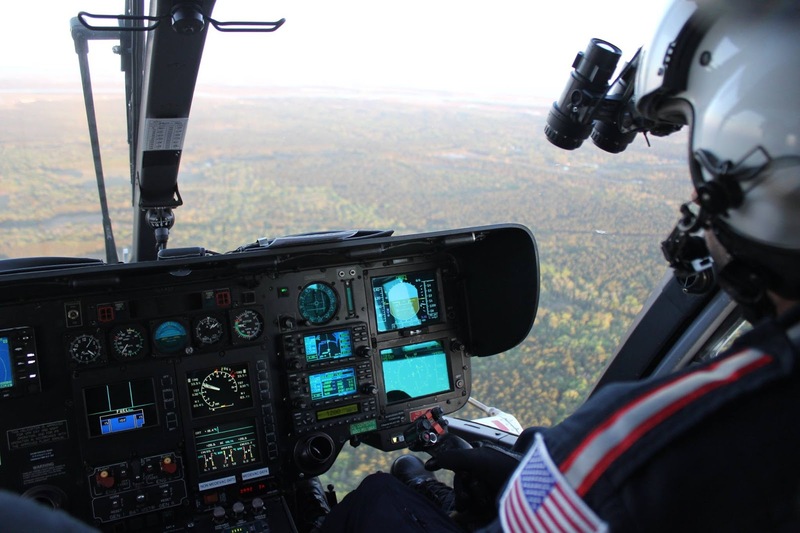 When a pilot from Savannah started a new base in Vidalia, he took the practice of the crew challenging and the pilot responding with him - it was what he was accustomed to after all. They never forgot their drugs or attempted take off with the fuel-flow lever out of the detent. As a traveling relief-pilot, I can tell you that this custom is not wide-spread. And why not? Is it because some pilots want to keep medical personnel "out of the cockpit?" Are they required crew or passengers? Are we flying today or tonight under goggles? Aren't these distinctions dumb? If I can use you to keep me from screwing up I will and you will be crew. 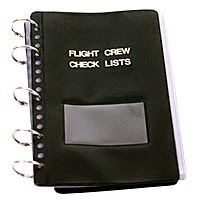 Maybe we don't use medical personnel to call off checklists because we don't want to give the impression to customers or the Feds that we single-pilots need help? Maybe it's our egos? I can tell you this - the biggest egos on the planet - the surgeons - now stand next to a patient and run a checklist including what part of the body they will cut on - before cutting commences. They do it, and they use staff to read the checklist. Medicine took checklists from aviation. Maybe we should take them back. If your program does not use a nurse or medic to call off a checklist, perhaps you might consider it. This would have prevented taking off with one engine at idle at more than one program. It would have prevented a BK-117 from crashing after it's supply tanks ran dry with full mains - because the pilot forgot to turn on the transfer pumps and turn off the instrument lights - he couldn't see the caution lights in daylight. 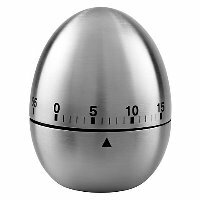 It's simple, it only takes a few seconds, and it employs a resource that is just sitting there. The medical CREW. Once again, the trauma world is a little smaller. Yesterday, another great trauma professional passed away, Dr. Norman McSwain. I have known the man for decades, and literally grew up reading about his advancements and accomplishments. It’s interesting that one never truly appreciates the magnitude of those achievements until the person is gone. Norm was a skilled surgeon and teacher, but his achievements were felt far outside his home in Louisiana. He was an early member of the ACS Committee on Trauma, and was very involved in the development of the Advanced Trauma Life Support and Prehospital Trauma Life Support courses. He is credited with developing the original EMS programs in both Kansas, where he took his first faculty position out or residency, and in New Orleans, his home for the remainder of his life. He spent his career at the Charity Hospital there, weathering multiple political storms over the years, as well as the big one, Hurricane Katrina. 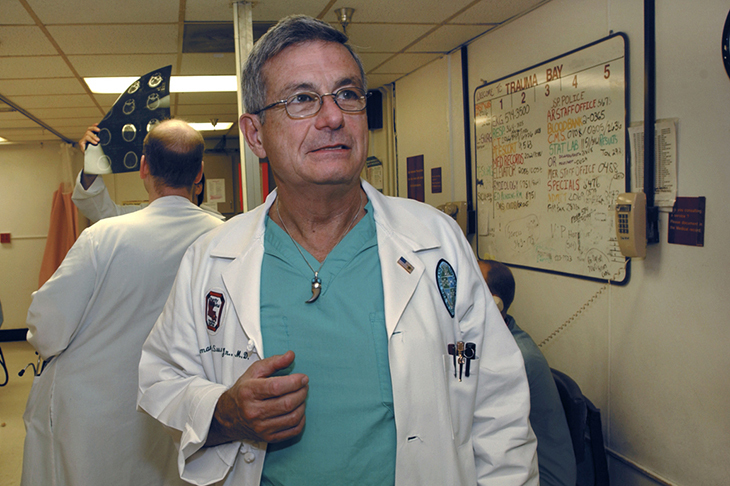 He was instrumental in achieving Level I Trauma Center status for its replacement, Interim LSU Hospital. Norm’s accomplishments are, as many of his contemporaries who have left us, too numerous to count. I certainly won’t try to recount them here. But it was his charm, his love for his charges, and his willingness to teach every trauma professional that will always be remembered. 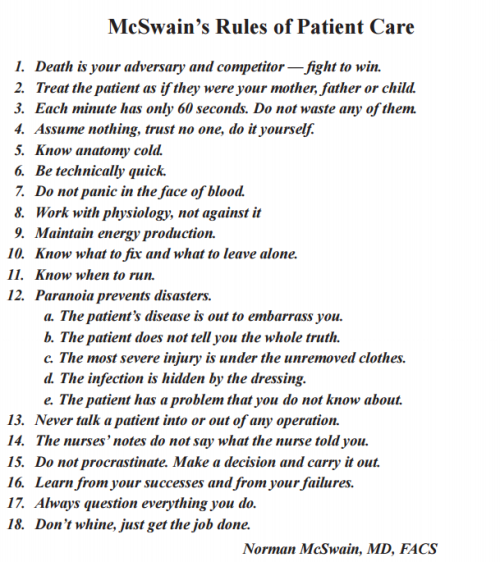 I’ll leave you with his 18 rules of patient care. They are timeless, and will serve you well regardless of your degree and level of medical training. Each of us carries an invisible bucket of risk with us, each minute of every day we are alive. Every human activity is accompanied by risk - consider the pilots who were flying a flight simulator in a building next to an airport and were killed by an aircraft crashing through the roof. Some activities impose greater risks than others, and it is worth considering how much risk is in our personal bucket at any moment. It is also interesting to observe how people accommodate risk - how they sometimes carry a full bucket for no valid reason. Every choice we make affects how much risk is in our bucket, and a thoughtful person will balance risks and rewards. The fact that your teammates will carry a bucket full of risk does not mean you must. Remember the "most conservative response rule." YOU can say no : On your first flight. A risk is a value comprised of two factors, first the likelihood that an event will occur and second the level of pain and suffering that we suffer should the worst happen. In aviation, our chief concerns are crashing - damaging or destroying aircraft - hurting or killing people. To me, a crashed helicopter in which no one is injured is a wake-up call to a company. This lets the owners, the director of aviation operations, and the chief pilot know that there is a deficit in their hiring practices, their training programs (hard and/or soft skills), or their levels of aircraft technology and redundancy. 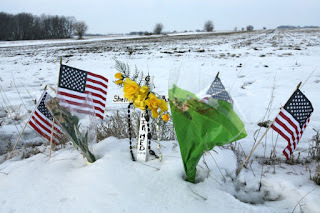 A fatal crash, on the other hand, is a tragedy not for any of the parties I just mentioned - but instead for the individuals involved and to an even greater extent for the families of the dead who must suffer for the rest of their days. Don't let a budgetary decision that someone else makes kill you. At the instant you die, your suffering is over. Your loved ones - wives, husbands, mothers, fathers, children? Well, you just condemned them to hell on earth. Factor this into your risk decisions. If you don't understand this I would be happy to put you in touch with a widow or a mom who will spell it out. I know too many of them, and I hope I never feel what they are living through. of HEMS team members. And yet someone will take that chance in the near future. After my friend Randy took my helicopter and crew in Honduras in 1988, because he had developed a distaste for his platoon leader, and on this very first flight without me on board the combining transmission failed and killed them all - I got spooked. Another pilot in my company told me, somewhat dismissively, "it's aviation, people die - if you can't accept that you are in the wrong line of work." Really? We have to accept that dying is a part of flying? Don't we have any control of our fate? In his book "Fate is the Hunter," Earnest K. Gann postulated that fate is a killer that strikes us who fly randomly, without warning or recourse, and if we choose to fly we must accept this. I choose to believe that, while some failures of people or equipment are so bizarre as to be unforeseeable (Colgate-Palmolive's BK losing a tail rotor, Hermann LifeFlight's BK slinging a blade), these type of events are so rare as to be in the "micromort" category. So, as I see it, the objective is to always have as few micromorts in my risk bucket as possible, and to make every aeronautical decision with a view to this end (and the prevention of my end). Let's consider the altitude we fly at. Medical crews tell me that I fly at greater altitudes than my peers. We VFR pilots do have a pretty large latitude in this area - Part 135 of the CFRs says we must be at least 300 feet above the surface when flying people for money - our companies may direct us to be at least 1000 or 1500 feet "when possible, taking into account the ceiling." Patients may have medical issues that push us to fly low. But I have observed a pilot to fly at 700 feet above the ground during the day with no patient on board simply - I suppose - out of habit. I was giving him a local area orientation and didn't feel that it was appropriate to question another experienced aviator about his altitude choices. That pilot is dead now. Click here to read his sad and unfortunate story. How high we fly, how fast we fly, how much or little fuel we fly with, how much wind we will operate in, the angle and speed at which we make approaches and departures... these are all aeronautical decisions, and they all involve micromorts which we have in our risk bucket. 1. Realize that we have a problem. 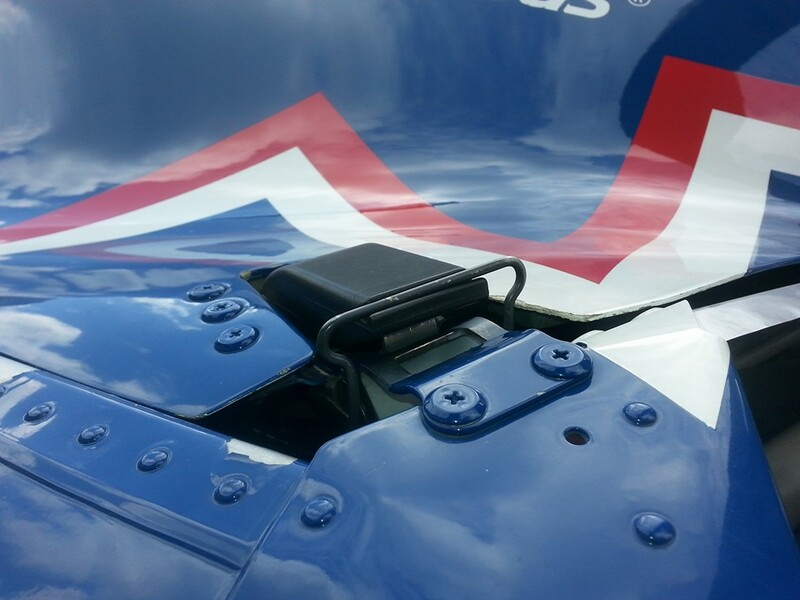 Recognize the change in engine sound, rotor RPM, instrument indications. 2. Transition from normal powered flight to autorotative flight - collective down and - at cruise speeds - cyclic back to maintain rotor RPM. We may have to make some adjustments as we "fly the disk" and let the rotor RPM stabilize. We are looking inside now. 3. Diagnose the real nature of the problem. Is this a failure of the engine or a low-side governor problem? If it is a governor problem can we find the fuel control lever or emergency governor control and adjust it to regain power before ground contact? We are still looking inside. 4. Now, look outside! 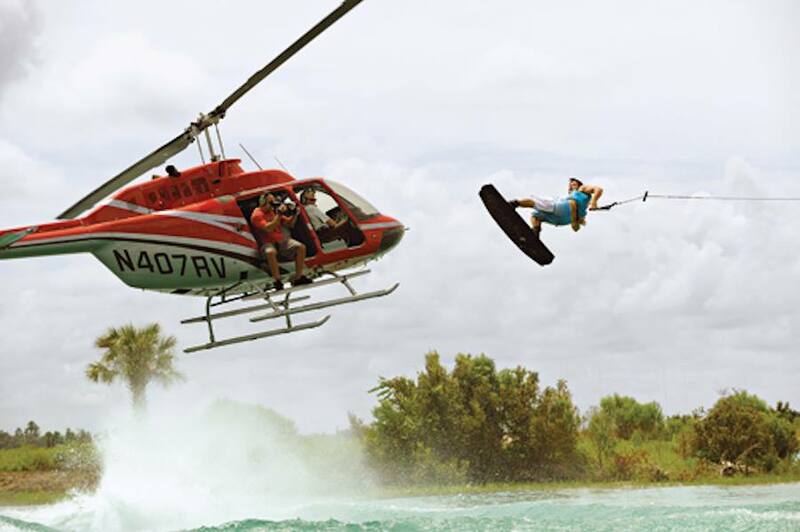 Find a place to land. Is there a place to land in this forest, swamp, marsh, or city? Can we reach it? 5. Are the aircraft and crew configured for landing? The patient? All that stuff takes time and altitude. The lone survivor of a recent crash said that after the engine quit, notwithstanding the pilots stating twice "don't do this to me," they were down in "10 seconds." I want more time than that. 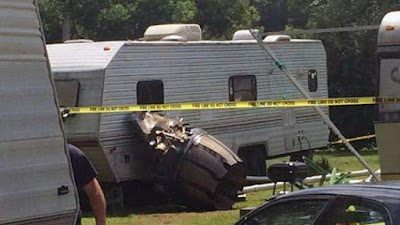 On August 19, 2014, about 1100 central daylight time, a McDonnell Douglas 369E, N444RS, was substantially damaged when it impacted a utility wire and terrain while maneuvering near Northport, Alabama. The commercial pilot and the passenger were fatally injured. We should be conscious of our decision to accept risk - every time - and perhaps we should announce it so everyone will pay attention to what's happening. A nurse and I were talking about the way we make approaches into a hospital pad, 200 feet per minute for the bottom 300 feet. He said, "I understand the slow approach, but I wish we didn't make it over that power substation." I was adding risk to my bucket without thought or reason. No need to be dead and fried when we can simply be dead after engine failure. In short, flying at low altitude adds micromorts to our risk bucket. Are we doing this for a reason? "Witnesses located at various locations at the World War II Valor in the Pacific National Monument reported observing the helicopter near their location traveling at a low altitude before it suddenly descended into the water." This is the case with many decisions we make. We add or subtract from our bucket. Are we taking pictures with our smart phones? Are we taking off with too much or too little fuel? Are we texting? Are we flying over trash-dumps - where birds congregate? Are we clearing the aircraft before turning or moving near the ground? Do we do a preflight each shift? Do we take a fuel sample or just change the date on the bottle? Do we carefully walk around and double check for latches and cords before climbing in every time. All these things involve risk. And those Micromorts, and that risk bucket? They are there with you on every flight. Around 7 PM on February 7th, 2008, a tremendous explosion ripped apart Imperial Sugar's refinery located in Port Wentworth, near Savannah, GA. A mass casualty event with dozens of burned patients fell upon the local emergency management agency, and a call for help was put out across counties and states. 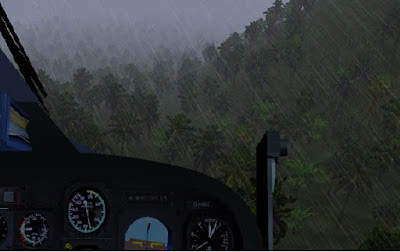 EMS helicopters from Augusta and Atlanta GA, Charleston and Columbia SC, and Savannah's own LifeStar responded towards the disaster within minutes of being alerted. They brought care and comfort at speeds approaching 150 miles per hour. 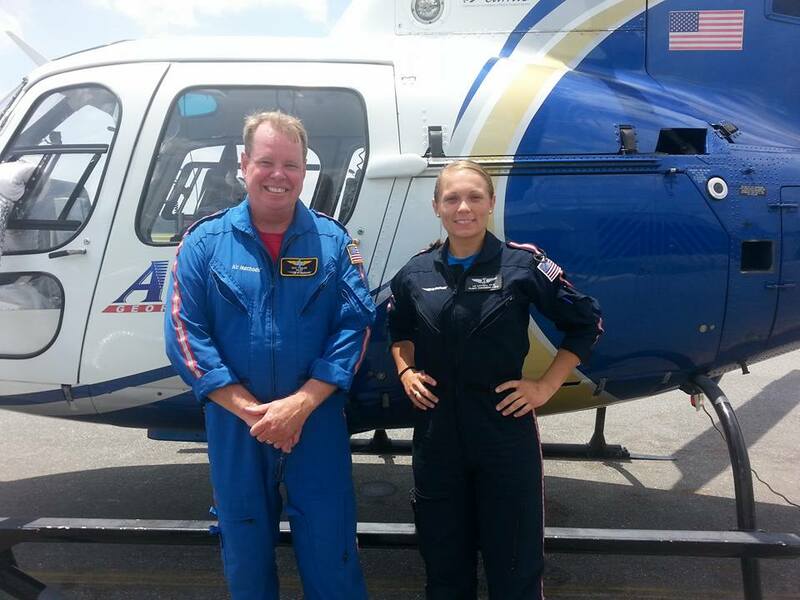 When one patient asked a LifeStar flight nurse, "am I going to die?" she answered honestly. Then she gave him medications that removed his pain. Different companies, fierce competitors at any other time, set aside all differences and cooperated magnificently to move horrifically burned humans -"their skin was falling off them"- to definitive care. There was no "us versus them," rather, it was a team response to tragedy, and in my experience, it was HEMS (helicopter emergency medical services) finest hour. This single event demonstrated the value to our nation of a veritable air force of helicopters that sit ready to respond day or night, about 1500 strong, staffed with thousands of tremendously skilled nurses, paramedics, physicians and pilots. How this force came to be, how we got to where we are today in HEMS - our strengths, weaknesses, opportunities, and threats, will be the topic of this series of posts and will eventually be collated into a book about flying sick people. It will also be my account of 17 years sitting in the front of these magnificent machines and listening to these heroes - who move about us unnoticed and unappreciated - doing good work. America knows we are here, but like blind men grasping different parts of an elephant, few Americans not directly involved in our industry really understand it. 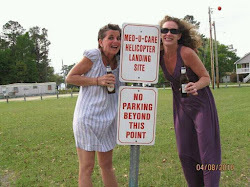 Most Americans know someone who has been flown to a hospital in a helicopter, many have purchased subscription plans to assist with payment should the need arise, and stories of financial abuse flare up in the media from time to time. And there are the crashes. People know we are here, but they don't really know us, I intend to let them fully understand our industry. We are going to roll the log over and look underneath. Injured workers are sometimes transported by air ambulance helicopter due to their injuries. The transport may either be from the scene of an injury to a hospital or from one hospital to another for a higher level of care. Recently, the number of fee disputes over the amount of reimbursement owed for these transports has exploded. Does the airline deregulation act preempt states rights to limit insurance reimbursements? This is a fascinating behind-the-scenes look at how reimbursement levels are hashed out. Drones near accident scenes aren't safe either. My husband was in the TF 160. He flew the sling load for Operation Mount Hope. He loved flying. Many times he came close-wires, vision, etc. You all know the drill. When he retired, he went corporate aviation after Fixed Wing. He did this for another 20 years without incident. I am posting this because many of you will take the same path possibly my husband did. It was not flying that got my husband. In the end, at age 59, it was lack of knowledge regarding his EKG results from the flight surgeon and the FAA. He had a widow maker heart attack. We were married 27 years, together 30. When he had his heart attack, we had no knowledge of any previous abnormal EKG. For over 20 years, we had been told they were completely normal. When the hospital asked me of any heart issues, I said no. Not true. When I picked up the EKG records from the flight surgeon, there were six abnormal EKG's. All were deemed unimportant by the surgeon and the FAA. First degree heart block three times in 10 years. Short QT interval 2 times in 10 years. These by themselves are not significant; however when they repeat, some in back to back years, well, you would want to have the opportunity to have it checked out. I have spoken to the FAA directly regarding my husband as well as the flight surgeon. They have no remorse in not saying these things were found on the EKG and did not think our family had a need to know. Exact quote was "If you had gone to a cardiologist, he would have told you it was not important." The key is we never had the opportunity but we did have the opportunity to have 100 blockage in the left ventricle without ANY signs whatsoever. No swelling, dizziness, nothing. The man took nothing but vitamins and went the gym that morning. So hookers, this post is not a sob story about what happened to our family. This is a warning to you all about your EKG's. If you get one via a flight surgeon or the FAA, get a copy. Ask/demand to see it. It is all on you guys to protect yourself. If a pilot complains of chest or arm pain, or heartburn, you should investigate prior to liftoff. 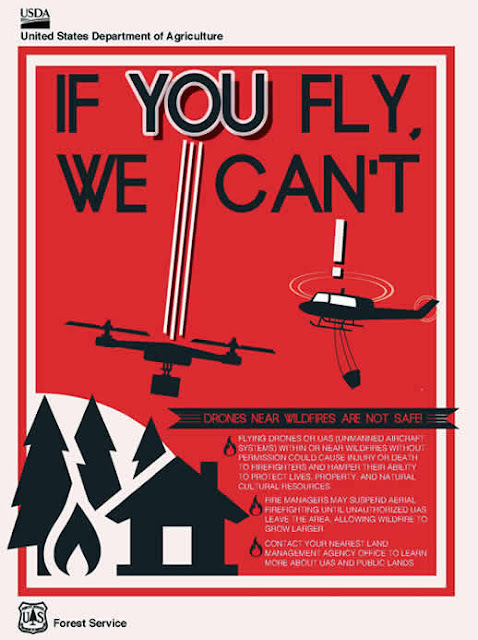 If you are in the air, ask him or her to land. 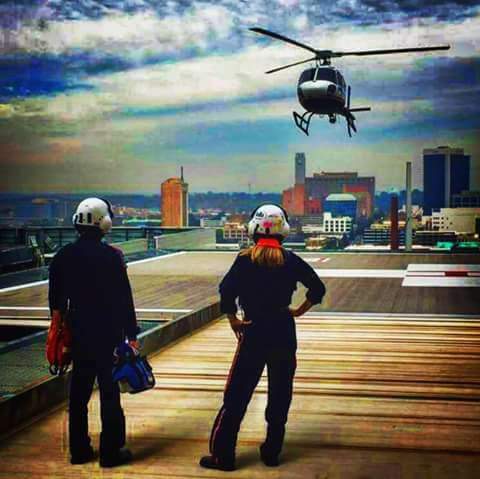 We single-pilot HEMS folks have a dark worry that we tend to leave in our brain's broom-closet. What if the pilot suffers a stroke, a heart-attack, or sudden cardiac death - a "Widowmaker." Sudden cardiac death is the largest cause of natural death in the United States, causing about 325,000 adult deaths in the United States each year. Sudden cardiac death is responsible for half of all heart disease deaths Click here to see information from the Cleveland Clinic. What if your pilot suffers from a sudden-onset debilitating health problem. 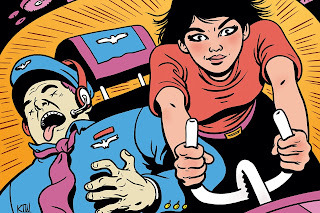 What if she slumps over the controls and pushes the cyclic forward. It will be all over 'cept for some hollering. There is no backup plan for this occurrence. Maybe, if the stars align and luck is in our corner we can improvise - as long as the event is not a dead-right-there situation. A medical crewmember seated in the left front seat manipulated the collective control with the pilot's instructions and the pilot manipulated the cyclic control with his left hand. 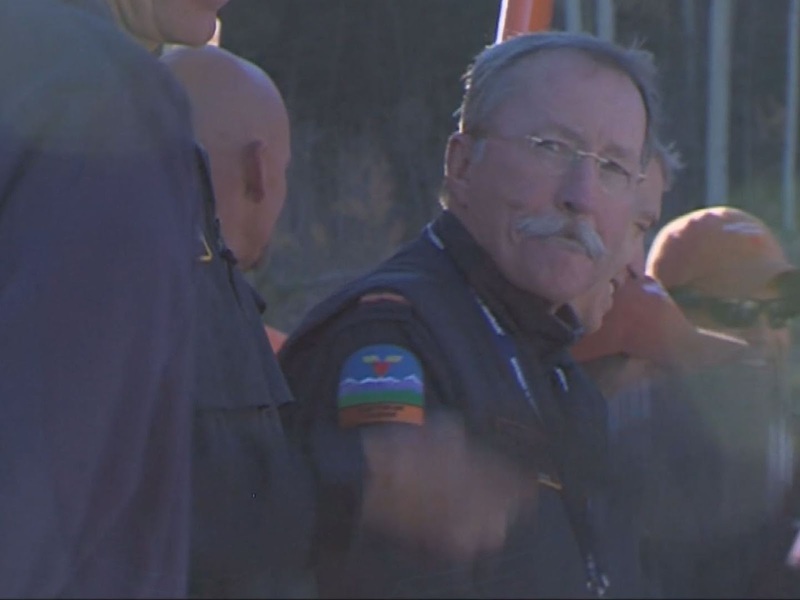 The pilot elected to make a run on landing and upon contact with the runway, the helicopter became airborne again, and then touched down again. As a pilot, I worry about sudden cardiac death from the perspective of not wanting to cause injury or death to the crews I care about and work with. My father died of an MI at 43. I am 58. I think about this. As it turns out, sudden cardiac death strikes people much younger than me. If you are a crew member, you should think about the sudden-onset things that could cause your pilot to be unable to continue flight. Sidebar: As crew, it is your job to be aware of your pilot's apparent mental and physical state, and to speak up if anything seems wrong - or even different. Any change in behavior is cause for discussion. If a pilot complains of chest or arm pain, or heartburn, you should investigate prior to liftoff. If you are in the air, ask him or her to land. This topic has been taken up on the Pilot's Professional Rumor Network... Click here to check that out. NetFlix recently added a documentary film to the list of programs available online, "Widowmaker." This is a fascinating film, and reveals a dark side to health care - the side that is more interested in money than a patient's best interest. The film tells the story of stents and "calcium screening." As they explain, when deposits form in a person's cardiac arteries, the body's defensive response is to deposit calcium at the site of the plaque/cholesterol buildup. It is the buildup that causes SCD or stroke, either because blockage prevents blood to the heart muscle or a chunk of stuff breaks loose and travels to the brain blocking flow there. A machine exists that can scan for the calcium, and can predict a future problem, which can then be dealt with using drugs, diet, and exercise. A scan is relatively cheap, a stent is expensive. NASA's rationale makes sense. If one of their astronauts goes tango-uniform on a mission it could be real trouble. Does this resonate? If the pilot collapses forward onto the controls, you will be upside down and dead before being able to push him back, hold him there, and then work the cyclic. Click here to read about research on calcium scans versus Framingham risk factors. What will you leave HEMS? I hope others won't have to learn the lessons the hard way. While picking up my team from a hospital, we were approached by two young EMT students. Helicopters fascinate people. We need good people in helicopters. It's up to us to find them. And support them. 40% Less Fuel? Will you put that in writing? Photo courtesy "Crazy" Charlie Couey. 1. If you do something, announce it. 2. If you need/want something done, ask for it. 3. When you hear a statement or question, acknowledge it. 4. Announce changes to aircraft flight path, configuration, or condition. 5. Question unannounced changes to the aircraft's flight path, configuration, or condition. 6. If another crewmember (yes... you are a crewmember) does not perform as expected, prompt him or her. 7. Listen to inputs and judge information, not the source. 8. If you suspect a problem exists, talk about it and eliminate doubt. So Easy to Start a Child Can Do It? May God Bless Your Soul Pat Mahany. Image courtesy 9News.com, Denver Co.
Thank-You For Your Four-Plus Decades of Service. How well do you see and avoid other traffic? Keep your head on a swivel. Eyes outside. Update: About one hour after posting this, we learn that an F-16 just collided with a small aircraft in Berkeley Co. SC. Jets use low level training routes to exceed 250 knots below 10,000 feet, and these routes criss-cross the skies at the altitudes we fly HEMS. That is the tail-cone of an F-16 Jet against a trailer... If fell from the sky after a collision.